Gathering alumni’s strength, we exchanged and shared experiences. 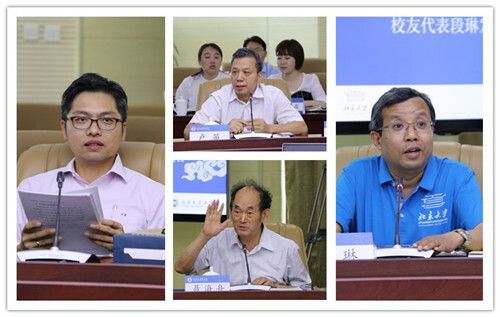 On May 27th, the symposium on the work of the Law School of Beijing University alumni associations in 2018 hosted by the Peking University Law School Alumni Association and organized by the Hebei Branch of the Peking University Law School Alumni Association was successfully held at the Hebei Branch of the National Prosecutors College. Li Wensheng, Secretary General of the Beijing University Alumni Association and Director of the Alumni Work Office; Li Youcheng, former President of the Beijing University Alumni Association of Hebei Province; Fan Shoulu, Executive Vice President of the Beijing University Alumni Association of Hebei Province; and Adviser Ai Caiguo of the Hebei Branch of Peking University Law School Alumni Association, Liu Ri, Party Secretary of the Beijing University Law School Alumni Association Hebei Branch; Zhang Shouwen, Dean of the Peking University Law School, President of the Alumni Association; Lu Jiangnan, Party Secretary of Peking University Law School; Zhao Xiaohai, Deputy Director of the Center for Legal Artificial Intelligence at Peking University; Dang Shuping, Secretary-General of the Peking University Law School Alumni Association, Director of the Alumni Work Office; Lu Yuxin, Deputy Director of the Alumni Work Office; Dong Yuyu, Commissioner of Propaganda and Information Technology of the Peking University Law School, and 36 leaders from various branches of the Beijing University Law School Alumni Association attended the symposium. The meeting was presided over by Mr. Dang Shuping. At 9:00 in the morning, with the promotional video of the law school, the forum officially kicked off. First of all, Fan Shoulu, Executive Vice President of the Beijing University Alumni Association of Hebei Province, expressed his warm welcome to all the guests. He said that the Peking University Law School has cultivated many legal elites for the motherland. 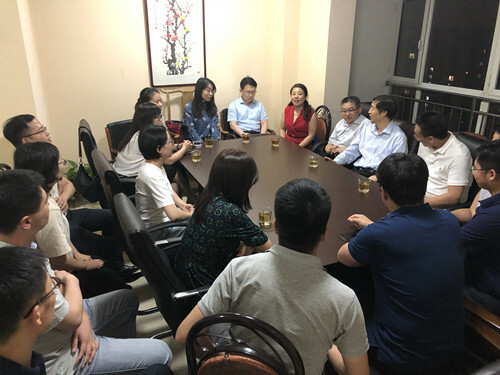 The alumni of the Law School are the mainstay of the Hebei University Peking University Alumni Association and have made many contributions to the alumni work. 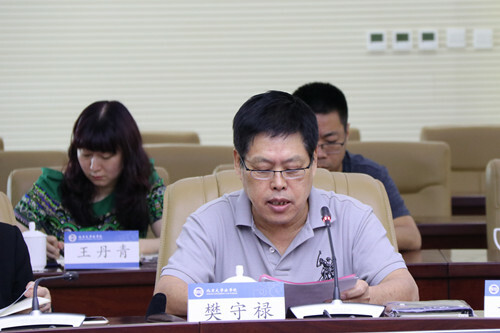 Fan Shoulu also introduced the customs and practices of Hebei Province. Places of historic interest, he hoped everyone would pay more attention to Hebei and win from cooperation. Mr. Li Wensheng, Secretary-General of the Beijing University Alumni Association and Director of the Alumni Working Office, greeted everyone on behalf of the Peking University Alumni Association. He focused on the work of the alumni and the work during the 120th Anniversary Week of the Peking University. It was emphasized that the effective demand of alumni is the supply of alumni work and passion, and warm, devoted, professional, meticulous, and accurate service can warm the alumni. He highly affirmed the work of the Beijing University of Law School Alumni Association and emphasized that the alumni work should encourage the alumni's enthusiasm, and at the same time, all the work must have borders. The law school alumni work is the most authoritative in this respect, and it is also the characteristics and advantages of law school alumni work. Subsequently, Mr. Lu Jiangnan, deputy secretary of the Party Committee of the Law School, gave a detailed introduction to the work of law school alumni in terms of the overall situation and key events during the celebration. The law school alumni work is based on the principle of “fostering alumni, serving alumni, and assisting alumni” and organized diverse alumni activities such as professional forums and talent salons, relying on the law school alumni information service system and all the law school alumni chapters, represented by “Peking University Famagusta”; to celebrate the 120th anniversary, the Law School reported 30 items of school celebration activities and responded to the call of the school alumni association to meet the alumni “go home”. In the end, Mr. Lu sincerely thanks all the alumni for their support. In the future, he hoped to work together with all alumni chapters to push the work of law school alumni to a higher level. 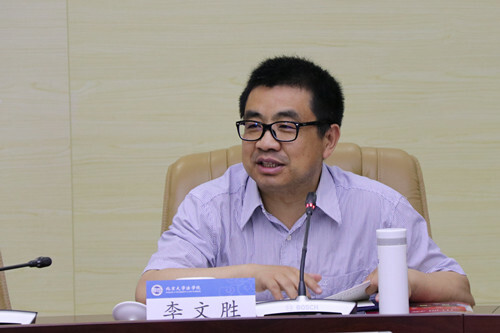 Afterwards, Liu Ri, secretary of the Party branch of the Hebei branch of the Law School Alumni Association, introduced the situation of Hebei Branch’s founding of the Journal. Since the foundation of the Hebei Peking University Alumni Association, a total of more than 120 proposals have been printed. Each issue will be delivered to relevant departments and leaders. Some of the suggestions were approved by the central leadership and adopted, and new policies were introduced. This has become a major feature of the Hebei branch in playing alumni and helping social development. 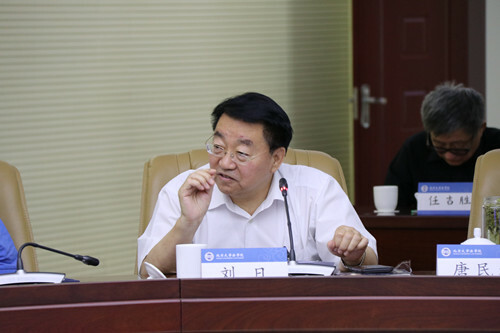 Prof. Zhu Qichao, Chairman of the Intellectual Property Sub-committee, introduced the unique features of professional sub-committees and believed that the sub-committees should be established with caution. It is suggested that they should rely on academic research and be established within the university, but they must have professional qualifications and need careful analysis. Zhu's speech has brought us valuable experience. 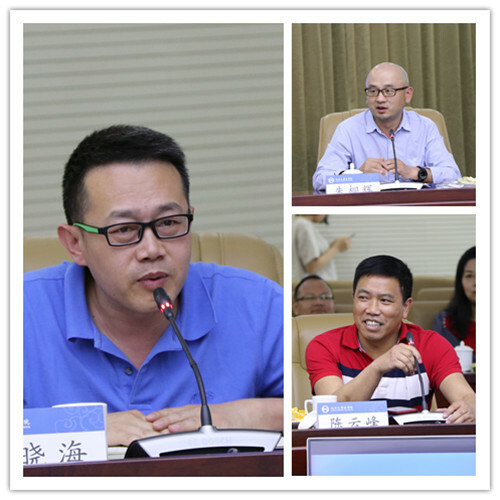 Since then, the club presidents and vice presidents have made speeches and exchanged experiences on the establishment and development of sub-committees. 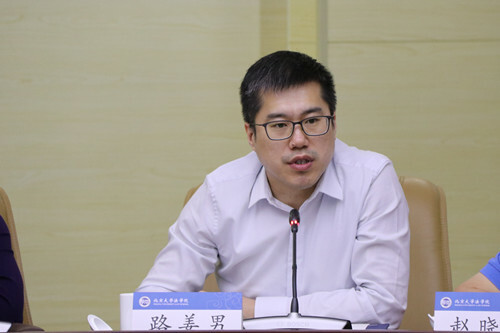 Lu Di, vice president of the Guangxi branch, introduced the achievements of the Guangxi branch in the past year from the perspectives of brand, platform and contribution, and called on everyone to carry forward the brand of Beijing University legal person. The Hong Kong Chapter Vice President and Secretary General Huang Shanduan introduced the establishment of the Hong Kong Alumni Association and their membership. The establishment of the Hong Kong Alumni Association has provided a very good platform for the exchange of legal persons at the Peking University in Hong Kong, and it has also played a positive role in aggregating consensus among law colleagues in Hong Kong. Nie Haizhou, on behalf of the Shanxi branch that is currently prepared, expressed their expectations for participating in the exchange meeting and hoped to learn more about the experience and promote the establishment of the Shanxi branch as soon as possible. 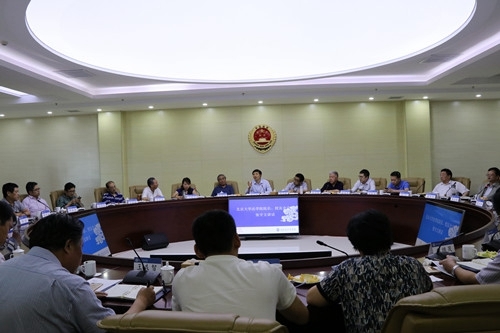 Similarly, the head of the Sichuan branch that is being prepared also exchanged the puzzles and progress made during the preparatory process for the Sichuan branch, and expressed that they must actively play the advantage of later development and make the basic work more solid. 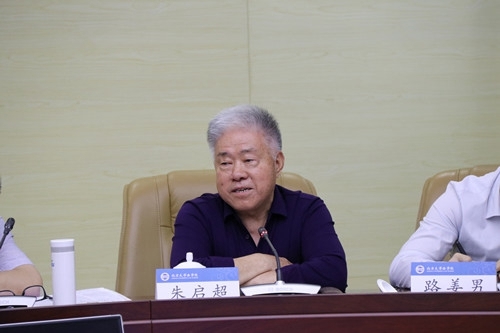 Afterwards, Chen Yunfeng, the executive vice president of the Zhejiang branch, and Zhu Tonghui, an alumnus of the Tianjin branch, respectively delivered speeches and expressed the theme of the work of the branches. They also hoped that the local branches would exchange more work. 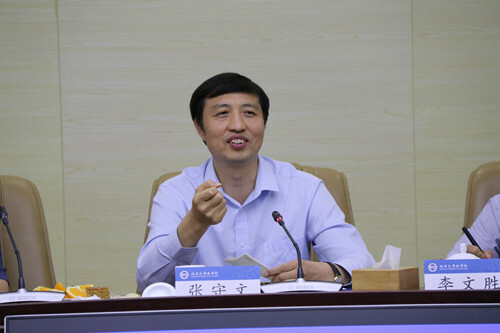 Zhao Xiaohai, deputy director of the Laboratory of Artificial Intelligence at Peking University, also stated that he will, as always, support the work of the alumni of the college and hope to get everyone’s support. At the end of the meeting, Professor Zhang Shouwen, president of the Law School and president of the Alumni Association, made a speech. Representing the Peking University Law School and Peking University Law School Alumni Association, he thanked the Peking University Alumni Association and Hebei Peking University Alumni Association for their support for this event. 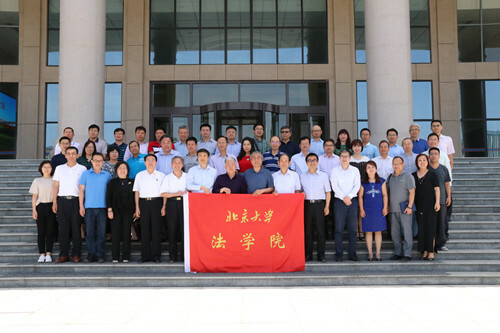 He thanked the Hebei Branch for its meticulous preparations for the exchange and thanked the leaders of the various branches for their busy participation. At the same time, he also put forward the requirements and hopes for the alumni work: the establishment of branches, legal compliance is the primary factor; the college should strengthen liaison and communication, cohesion, service, and support the development of alumni; to make use of the alumni association characteristics, Gather talents. Dean Zhang pointed out in particular that everyone has put forward many good suggestions. This forum will also have far-reaching significance for the further development of alumni work. He said that the school is the basis for cohesion and friendship. Friends are the embodiment of friendly friendship and will be a platform for communication and communication. The alumni's cohesion and contribution are the important driving force for the various undertakings of Peking University Law School. 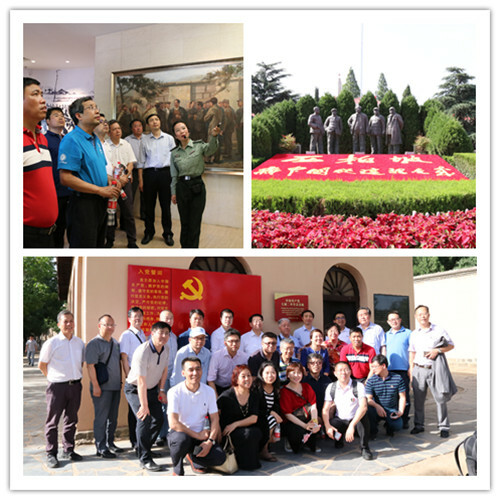 After the meeting, the delegates visited Xibaipo to study and relive the hard and glorious years of the Party Central Committee in Xibaipo and feel the revolutionary spirit of the Chinese communists leading the people to the new China. On the eve of the meeting, Dean Zhang Shouwen and Director Dang Shuping were accompanied by He Peiqiang, president of the Hebei branch, and some members of the Hebei branch’s leadership team. They held discussions and exchanges with the selection and transfer of students in the Boya Bookstore established by the school’s alumni. A dozen or so candidates took turns to speak, recalling their experiences during school and reporting on their work, life, and learning in Hebei. Dean Zhang listened carefully to everyone's speech, detailed understanding of each candidate's situation, and friendly interaction with alumni. Dean Zhang said that the alumni work is one of the key tasks of the college. The law school cultivates talents, pays attention to teaching and educating people during school, and also pays attention to the follow-up attention after graduation. The college pays great attention to the selection of tune-up groups, which affirms everyone’s achievements. Paying attention to everyone's difficulties, we will also use the name and strength of the college to help everyone solve problems and help alumni grow. At the same time, Dean Zhang also hopes that everyone must be modest and prudent, guard against arrogance and caution, pay more attention to thinking and summing up, strengthen self-management and education, and become the pillar of the country, making greater contributions to society and localities.